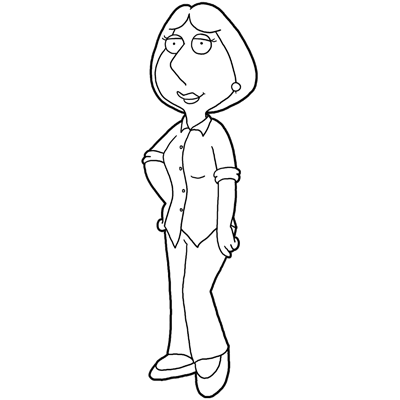 Do you want to learn how to draw Lois Griffin from Family Guy? I have put together a step-by-step tutorial that will help you figure out how to draw the wife and mother, Lois, by using simple shapes to build up her form. This is an intermediate cartooning tutorial that kids, teens, and adults will enjoy. Enjoy! You might also want to learn how to draw the dog: Brian Griffin, the big brother: Chris, the dad Peter Griffin, and the evil baby, Stewie Griffin, Meg, the sister.. Visit the Family Guy Tutorials Page. 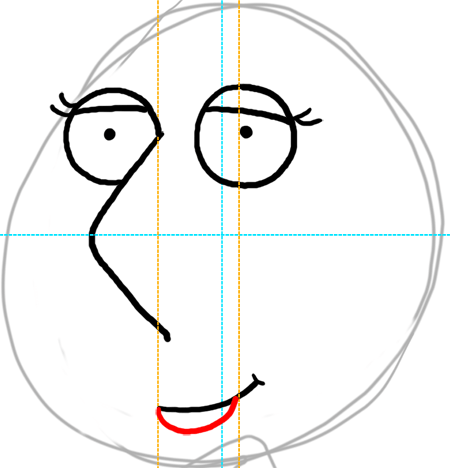 Start drawing Lois by drawing the basic shapes that make up her form, such as a circle for her head and a rectangle for her body. 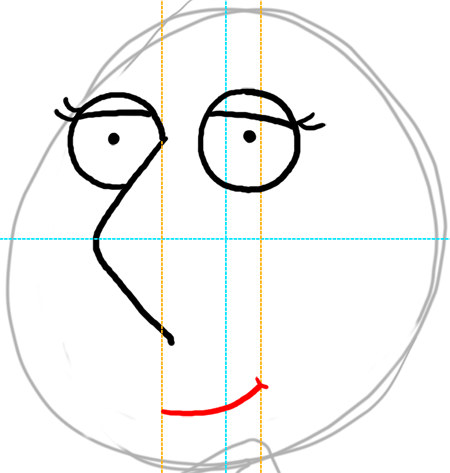 Draw a line in the center of Lois’ face vertically (up and down) and horizontally (left and right) for guidelines. These guidelines will help you place the facial features in the right spot. Draw Lois’ nose in the center of the left half of her face. 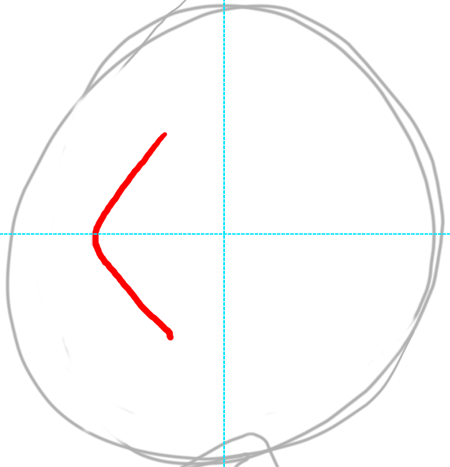 You can draw the nose as a sideways letter ‘V’ shape. Now draw a circle for each of Lois’ eyes. Now draw a dot for each of Lois’ pupils. 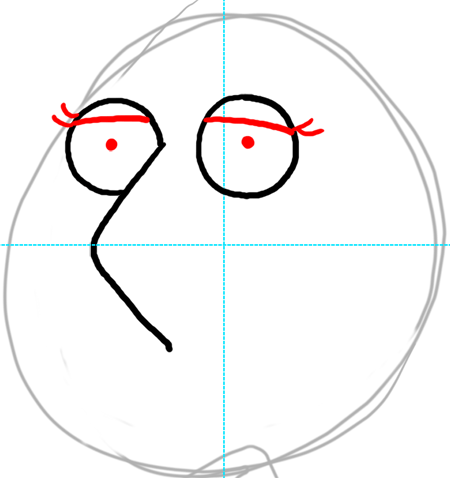 Also draw an eye lid at the top of her eyes and draw 2 eye lashes on each of her eyes. Now draw Lois’ smile. 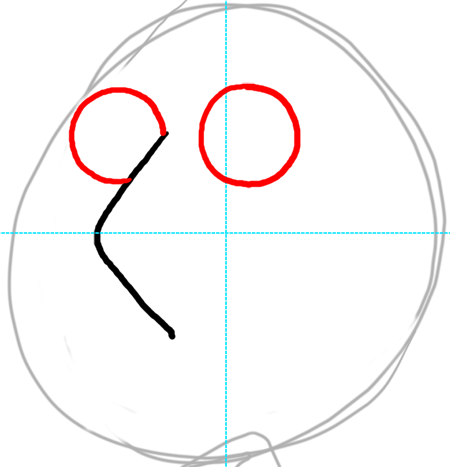 I drew a yellow guideline on each side of the smile to show you about where it is placed and as you can see, the smile is in between the nose and the right pupil. Now draw the bottom lip. horibble!!!!!!!!!! please improve i wanyed LOIS GRIFFIN NOT JUST HER FACE OMG!!! You have to click on the next page link to get the steps for her body.